The MACH-Stat™ and MACH-Stat-ND™ are now listed with the BACnet® Testing Laboratories (BTL) as BACnet Advanced Application Controllers (B-AAC). This level of capability allows the controller to initiate requests for information as well as respond to requests from other controllers. The MACH-Stat™ is a completely customizable and networkable space controller with the "look and feel" of a traditional commercial thermostat. Contractors can easily read and write control sequences, specify I/O, and customize the appearance and accessibility of up to 48 different items on eight configurable LCD displays. All Reliable Controls controllers are listed with the BTL, and bear the BTL mark of certification and compliance. 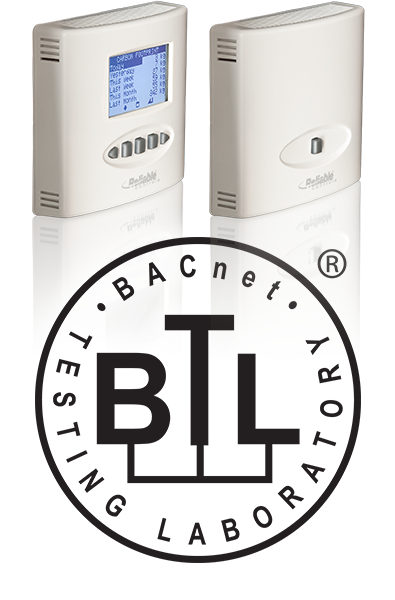 Only devices that contain the BACnet communication stack can be submitted and listed with the BTL.